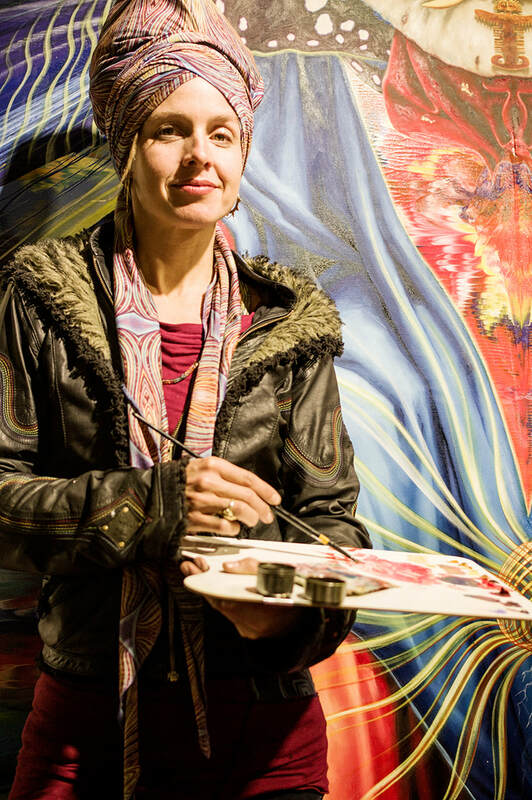 Born 1978 in Denver, Colorado Amanda Sage is an artist using her painting as a tool for spiritual and planetary growth and transformation. Since 2009 she has been based in Los Angeles and influential in networking artists and initiatives while hosting workshops, lecturing and exhibiting world wide. Her work is mostly in private collections with some pieces also in the permanent collection of the Kirkland Museum in Denver, Colorado. In 2014 together with designer Shabnam Q, the 'Amanda Sage Collection' was launched online. An independent fashion label leading the frontier of visionary art and fashion. "Wearable visionary art, made with love from threads of light".